We meet so many people who have been inspired by their time walking the Camino de Santiago. Cary is one of those people. 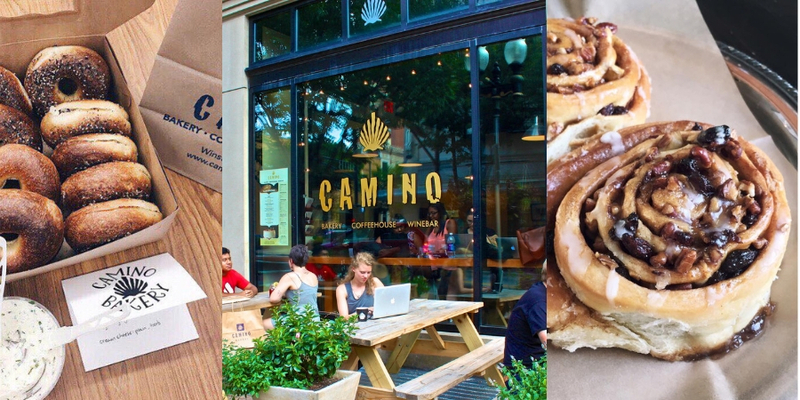 If you are a fan of all things sweet and delicious then you will love the Camino Bakery in North Carolina. We can’t wait to visit and in the meantime we are enjoying scrolling through the mouthwatering pics on their Facebook page. 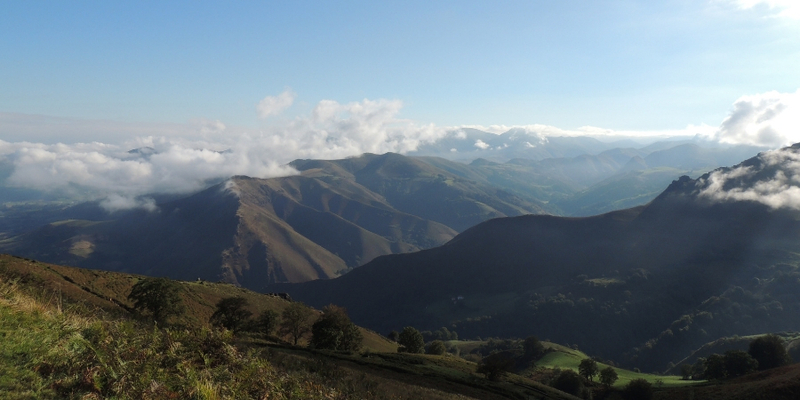 What motivated you to embark on the Camino de Santiago journey? I was so lucky! I received a grant from the history department of Rice University (where I got my BA in history) to walk the Camino. It gets better: the funds for the grant had been given by a history professor who wanted one graduating senior every year to travel and reflect on where they wanted to head in life, so the whole point of the grant was to give me a chance to ponder my future. 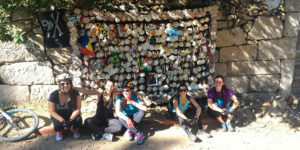 Did you find the Camino walk challenging? 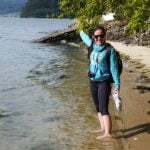 Sometimes the Camino was physically challenging, but I felt like such a fish in water because I’ve always loved more meaningful travel experiences like this. 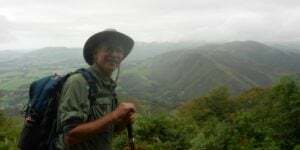 I started the Camino by myself, but as anyone who has walked the Camino will know, my solitude only lasted about 5 minutes before I had met a fascinating and fun group of fellow pilgrims. 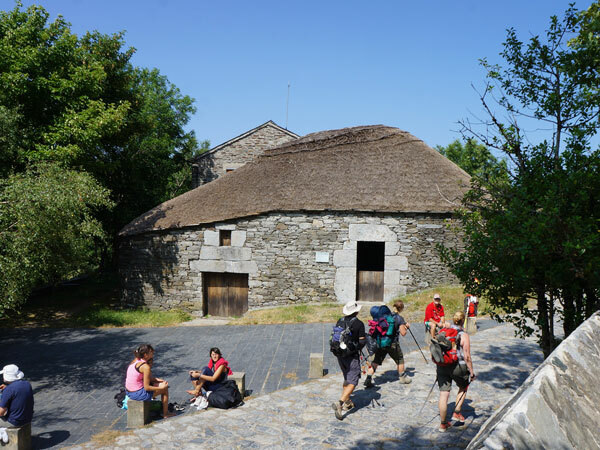 How long did you spend on the Camino trail and where did you start? I spent a month on the trail and started in Pamplona. 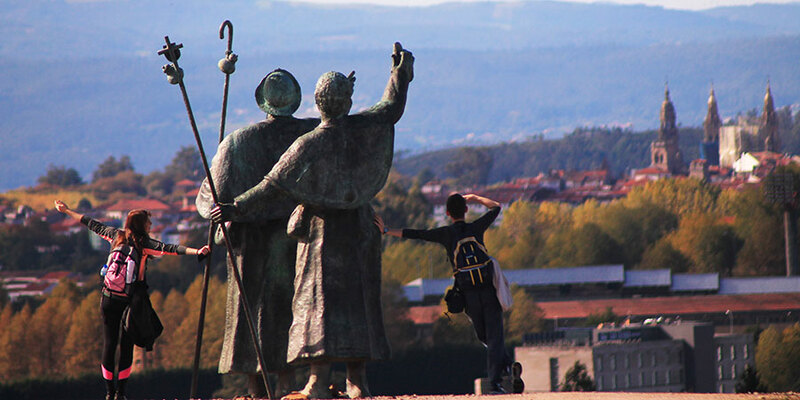 What were your highlights from your time walking the Camino? My favorite times were always the dinners along the way, eating great food with this amazing group of people speaking 10 different languages. Did you meet anyone interesting along the way? YES! One of my favorite people was a retired auto mechanic named Jacques. It turns out that retired auto mechanics from France are very different than retired auto mechanics from the States. 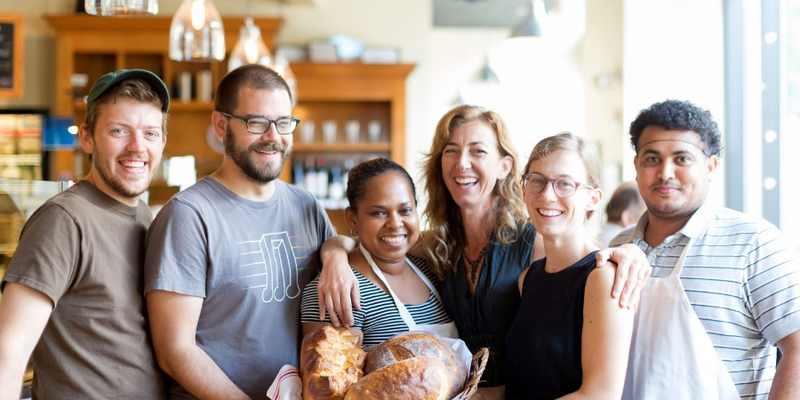 What inspired you to open the first Camino bakery? Can you tell us of any struggles that you overcame along the way? I have had, as many people do, terrible struggles. When I had been doing the wholesale business for a couple of years, my young son died of a heart infection, and it was only through the kindness and support of my friends and co-workers that I made it through those dark days. What kind of treats can people expect to find if they visit your bakery? We make European-style pastries such as croissants and pain au chocolat, beautiful artisan breads, sandwiches, and quiche, as well as simpler treats like cookies and pumpkin bread. How did you grow from 1 to 4 locations? Through a whole lot of work and an optimism verging on insanity… No, seriously, the main element leading to our growth has been my co-workers. Valuing them as people and seeing the gifts that each of them bring to the table has led to having a group of people who are committed to making this company thrive. So each moment of growth has been a group decision and very much a group project. I am sure that there are many lessons learnt over the course of your Camino bakery journey. Could you share one or two with us? Enjoy life!! That is what I strive for every day. Life is so short, and it’s shockingly easy to forget that as we go about our daily lives. But for a more concrete piece of business advice: any business is only as great as the people in it. The people that work for the business are absolutely the most important part of that business, and people will generally do their best work if they feel appreciated and HEARD. What keeps you motivated today and who inspires you? I am one of those extremely lucky people who loves going to work every day. I’m very motivated to create a happy atmosphere for our employees and our customers, and I’m inspired by the daily acts of generosity, zaniness, fun, and kindness that I witness at work. I’ve been with customers as they grieve the loss of loved ones; I’ve watched while customers who met at Camino propose marriage even right in front of the register; I’ve been part of spontaneous dance parties; and just last week I learned to drive a forklift! Can you tell us about your grounds for giving project? We have a Greenlife fund where we support one responsible travel project per year and it feels great to be giving back to the communities that we work in. It is SO meaningful. We love supporting local charities and have a regular donation fund for all the charity requests we get, but in addition we created Grounds for Giving as a more intentional way for us to pick certain local charities, spend time throughout the month promoting the particular charity of the month, and then donate a portion of our sales to them on a given day. It’s a great way for us, in addition to supporting them financially, to make sure people throughout the communnity know about the good work these charities are doing. I’d like Camino to grow moderately so that we can continue to pay our employees better and better, but there are a few things that are much more important to me than fiscal growth. I would like Camino to create more and more happiness in our community: I’d like us to be a happy place for our customers, I’d like us to support charities in our community, and I’d like us to be a happy place for all of our employees to work. Second, I’d like our food and drinks to be more and more delicious and innovative every year. Last but not least, what is your favourite baked good and why? This is such a great question!!! And so hard to answer!!! I’ll narrow it down to 2. My current sinful pleasure is our triple cinnamon scone, which has a cinnamon sugar & butter filling and is just… delicious. My healthy pleasure is our seedy levain, a naturally leavened bread with several different flours and lots of nuts and seeds. Yum! We hope that you enjoyed reading about Cary’s journey. Don’t forget to pop in to the Camino bakery for a pain au chocolat when you are in town. If you need any more information about the Camino de Santiago our travel specialists are always here to help.